'Doctor Who' Season 10 episode guide: What happens next? 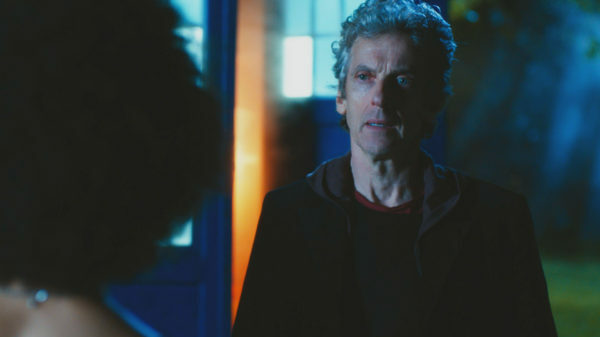 ‘Doctor Who’ Season 10 episode guide: What happens next? Posted May 11, 2017 by William Martin & filed under Episode guides. 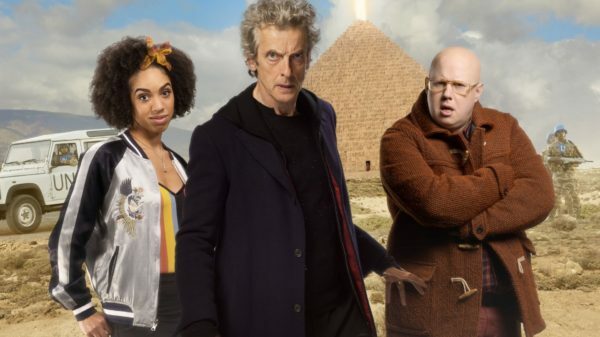 Peter Capaldi returns as the Doctor for 12 new episodes, joined in the TARDIS by Pearl Mackie as Bill and Matt Lucas as Nardole. Pre-order the new season on DVD on Amazon here. Pre-order the new season on Blu-ray on Amazon here. In the far future, at the edge of the galaxy, there is a gleaming, perfect city. This brand new human settlement is said to hold the secret of human happiness – but the only smiles the Doctor and Bill can find are on a pile of grinning skulls. In Regency England, beneath the frozen Thames, something is stirring. The Doctor and Bill arrive at the last of the great frost fairs, and find themselves investigating a string of impossible disappearances – people have been vanishing on the ice! Bill is moving in with some friends and they’ve found the perfect house – so what if it’s strangely cheap to rent, and the landlord is a little creepy? The wind blows, the floorboards creak, and the Doctor thinks something is very wrong. What lurks in the strange tower at the heart of the building – and why can’t they find any way to enter it? The Doctor, Bill and Nardole answer a distress call in deep space, and find themselves trapped on board space station Chasm Forge. All but four of the crew have been murdered – and the dead are still walking! In the Haereticum – the Vatican’s secret library of blasphemy – there is an ancient book known only as The Veritas. Throughout history, anyone who has ever read it has immediately taken their own life. Now a new translation is online, and the danger is spreading. The Vatican appeals to the Doctor. Will he read The Veritas? 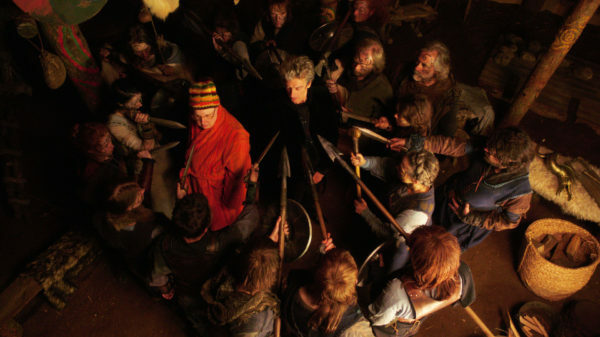 But can even the Doctor survive the ultimate truth? … And you can also see a gallery of images from the episode here. 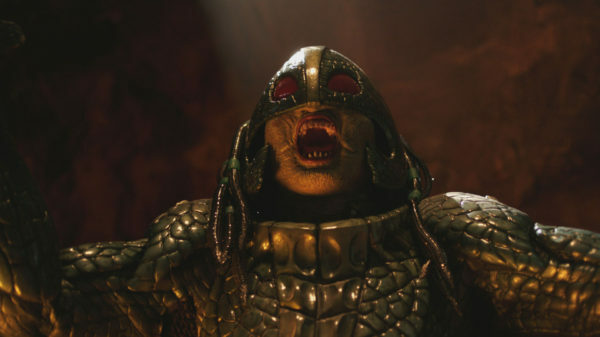 The episode was written by Peter Harness (Doctor Who – ‘The Zygon Invasion/Inversion’) and Steven Moffat, and directed by Daniel Nettheim (Doctor Who – ‘Extremis’, Broadchurch). The world is gripped by a mass delusion and only Bill Potts can see the truth. When even the Doctor is fighting on the wrong side, it’s up to Bill to convince the Time Lord that humanity is in deadly danger. And if she can’t do that, she may just have to kill her best friend. Lie of the Land was written by Toby Whithouse (Various Doctor Who, Being Human) and directed by Wayne Yip (Class, Misfits, Utopia). The BBC has also released the following clips. You can also see a big gallery of images from the episode here. ‘God save the Queen’ has been scrawled on the surface of Mars. What are Victorians doing on the home of the Ice Warriors? And what will they find beneath the Martian soil? A long time ago, the Roman legion of the ninth vanished into the mists of Scotland. Bill has a theory about what happened, and the Doctor has a time machine. But when they arrive in ancient Aberdeenshire, what they find is a far greater threat than any army. In a cairn, on a hillside, is a doorway leading to the end of the world. This episode is written by Rona Munro (who last wrote for Doctor Who in 1989, specifically the Sylvester McCoy episode ‘Survival’) directed by Charles Palmer (whose previous Doctor Who directorial work includes ‘Smith & Jones’, ‘Family Of Blood’, and ‘Oxygen’.